River Ganga is the life blood of the country. Not only is the river a significant religious symbol for the people of the country, it also provided life giving water to the countrymen. But in the recent times, the navigability of the river has declined due to increase in the rate of water pollution. The current central government has thus, implemented the Ganga Gram Namami Gange Project for developing the state of the river and also the villages located on the bank of the river. Preventing the issues of open defecation – Due to the lack of awareness and proper toilets, the people living in the rural areas resort to defecate on the banks of the river. The waste gets washed in the river and pollutes it. To stop this, the government will take necessary steps to eliminate the problems of open defecation on the banks of the river by villagers. Prevent the dumping of untreated liquid waste into the stream – Apart from solid waste, the river water is also getting polluted by the dumping of dirty liquid into the main stream of the Ganga. The erection of liquid waste treatment plants will be done on the banks of the river to treat the liquid waste properly. Developing the sites of crematorium – The ghats of Ganga, especially in Banaras are considered to be the holiest places. It is said that if a person is cremated on these ghats, they will attain salvation. Thus, there are many crematory ghats on the banks of the river. The government will develop state of the art crematory ghats. Here, the waste will be properly treated before dumping the ash in the hold water. This way, the water of the river will be less polluted. Developing the facility of solid waste management – Apart from liquid waste, dumping solid waste into the river, without treating it properly, pollutes the water. To eliminate this problem, the central government will construct solid waste treating plants in these areas. Promoting better sanitation in rural areas – With the points mentioned above, the government will also create awareness among the people of the villages, which are located on the banks of the River Ganga. They will teach the people the need for using toilets and the disadvantages of open defecation. The central government will also assist the villagers in constructing permanent toilets. The vastness of the scheme forces the central government to tackle the task of developing the river and the villages located on its banks in different phases. The central government has published a list containing the names of 306 villages, all of which are located on the banks of River Ganga. Of these 78 villages are located in Sahebganj (Jharkhand), 128 villages are in Uttarakhand, 58 villages in West Bengal and 13 villages are in Bihar. The River Ganga flows through many states, located in the northern and central part of the country. As of now, the main states, where the scheme will be implemented are Jharkhand, Uttarakhand, West Bengal, Uttar Pradesh, and Bihar. These are the states through which the main stream of the river and the prominent tributaries and distributaries flow through. As per the declaration of the central government and the departments, associated with the successful implementation of the Ganga Gram Namami Gange Project, a whopping amount of Rs.1750 Crores has been allocated for meeting the requirements of the project. The money will be spent on the development of the overall status of the villages located on the banks of the holy river. But the completion of the total Ganga Restoration Project will cost around ₹20,000 crores. NMCG or National Mission for Clean Ganga will start 5 big projects to clean the river Ganga and adjacent areas. In three states of the nation 5 projects will start off soon. 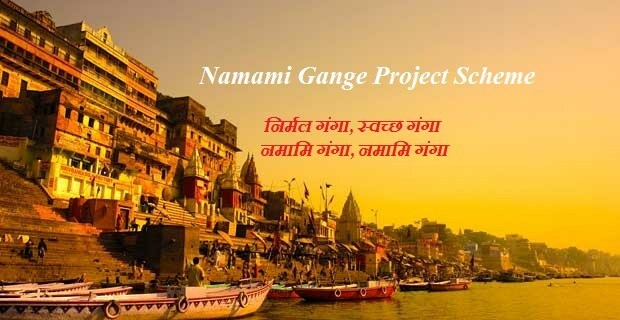 Uttarakhand, Uttar Pradesh and West Bengal are the three states where 5 projects namely Namami Gange will be implemented. These 5 projects have been announced by the NMCG authority on 4th of January. Nearly Rs. 295 Cr will be allocated for these projects. To manage and clear the River Ganga, the central authority has started a mission namely National Mission for Clean Ganga in the year 2011. The main aim of the mission was to restore and save the Ganga. By following Society’s Registration Act in the year 1860, the mission was established. Under this mission two sections are in operation. Director of NMCG leads both the sections namely Executive committee and the governing body. The executive committee has responsibility of handling projects and supervise implementation up to budget Rs. 1000 Cr. Projects more than the mentioned budget are supervised by the governing council. With estimated budget of Rs. 4.68 Cr the authority has approved one project in Uttarakhand. In Haridwar, under few uncovered areas, the authority has given permission to laying sewer lines across the area. With estimated budget of Rs. 11.73 Cr the NMCG has given approval to reconstruct damaged ghats in Varanasi. As Varanasi is one of the most popular sacred places in India, it is important to maintain the various ghats where millions of people visit. The first project in West Bengal, worth of Rs. 172 Cr will be implementing at Kamarhati and Baranagar area. There will be sewage management project in these two places. Second project will take place in Nabadwip area. This sewage management project will be worth of Rs. 54.3 Cr in total. Finally waste and pollution management project will be done in Berhampur Municipality area. The estimated budget for this project will be Rs. 52.2 Cr. These projects are expected to start soon in the respective states. Major projects will be done in West Bengal with total budget of Rs. 278 Cr and the rest amount will be spent on Uttarakhand and Uttar Pradesh projects. National Mission for Clean Ganga has taken special steps to make the river Ganga cleaner than early times. In many places, especially sacred places along Ganga, throwing objects like flowers and such are prohibited. During the time of Durga Puja immersion, the authority takes extra care so that the water does not pollute with waste. Under Namami Gange Programme, Central Government has initiated the Ganga Vriksharopan Campaign. Ganga Vriksharopan Abhiyan 2018 is a weekly programme having starting and last dates as 9 July 2018 and 15 July 2018 respectively. Cultural Programmes, Public Meetings, Shramdan and Awareness Campaign are four major activities that marked the beautiful beginning of Ganga Vriksharopan Abhiyan in West Bengal, Jharkhand, Bihar, Uttar Pradesh and Uttarakhand (five states). To create a pollution free region in Rishikesh, Dehradun forest department distributed bags and plant saplings to people of town (localities) via Assembly Secretary (Vidhan Sabha Adhyaksh).